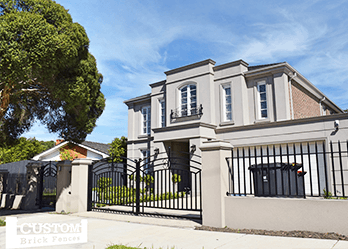 For the most robust gates and fencing for Clayton, it must be Custom Brick Fencing. 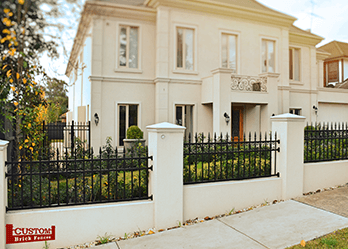 We’re the specialists throughout Melbourne for all things fencing and gates. We offer the best custom-made products on the market. 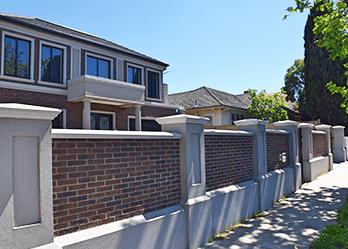 When you think ‘Brick Fencing’, think ‘Custom Brick Fencing’! We don’t just specialise in brick fencing however. Our range of products really can’t be beat – and at affordable prices too! Because our products are made to order, they will suit your home and provide ideal protection for your family. We also have elegant wrought iron gates too. These gates can be made in a variety of styles, to suit your taste the layout of your home. Why not call us to find out what we can do for you! 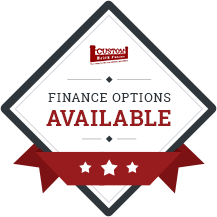 If you’re not sure of exactly what you want, you can call us today to find out more about our wide range of products. With fifteen years in the industry, we’ve guided many satisfied customers to the best brick fences and gates. Our automated sliding and swinging gates are a particularly popular gate system. With these automated gates customers can enjoy an enhanced level of control over their gating system. You can open your gate remotely, ensuring a seamless transition in and out of your property – ideal for the busy worker!